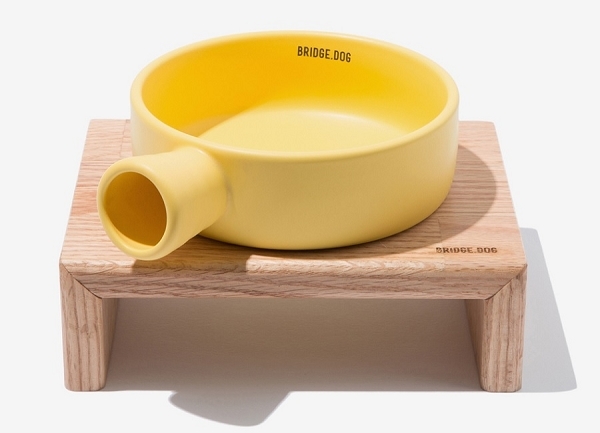 Premium clay & high grade glaze dish bowl for pets. Handmade in KOREA. Please read the terms before placing the pre-order! 1. Full Payment is required upon ordering. We will only put in your order(s) once full payment is received. 2. No cancellation/refund/changes (eg. colours) will be entertained, once an order is placed. 3. 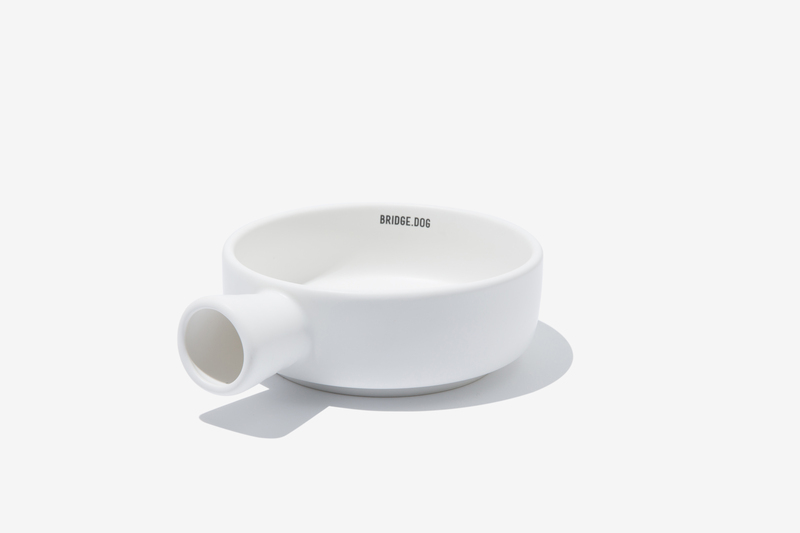 From the production of the bowl to the delivery to your location, it will take at least 3 weeks. 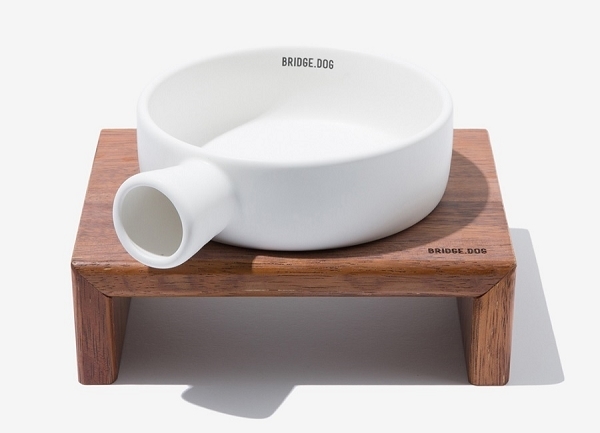 All Bridge.dog products are handcrafted & custom made. This process will take at least 14 days to make one, as each dish is baked at least 3 times to ensure it's durability & quality. After which, it will take around 4 days for the shipping from Korea to Singapore. 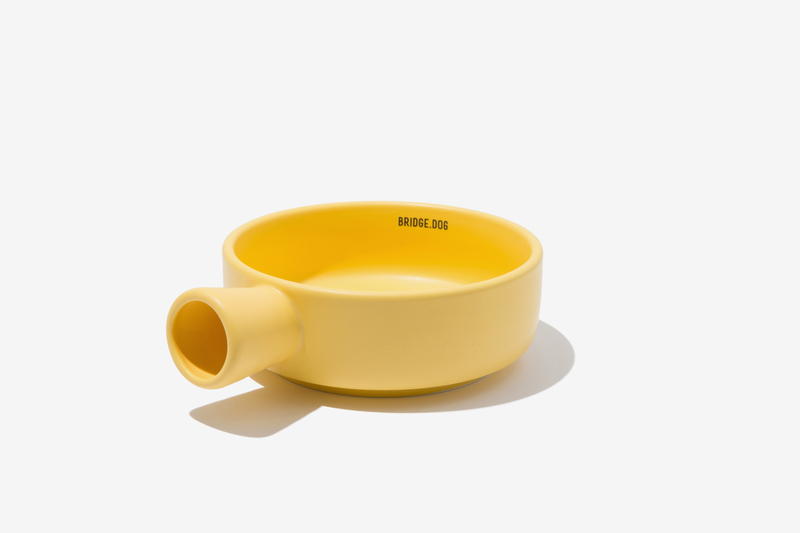 In fact, the material used to make the bowls are so good, that it is better than most human grade bowls. 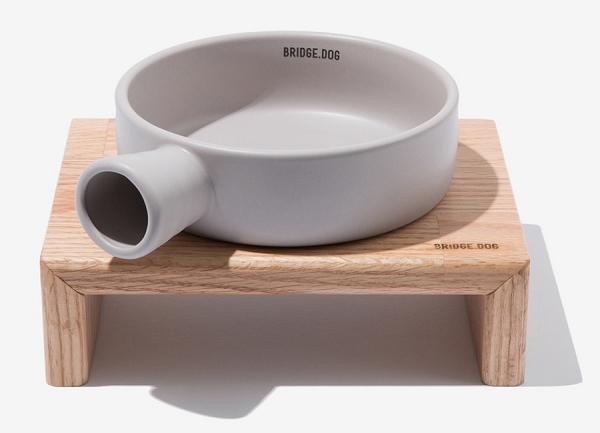 As Bridge.Dog Pans are all handcrafted one by one with care & love, & not mass produced, we seek your kind understanding in the unfortunate event of any delays. We do not recommend Pans for cats due to the handle on the Pan. Cats may flip the bowl with their hands. 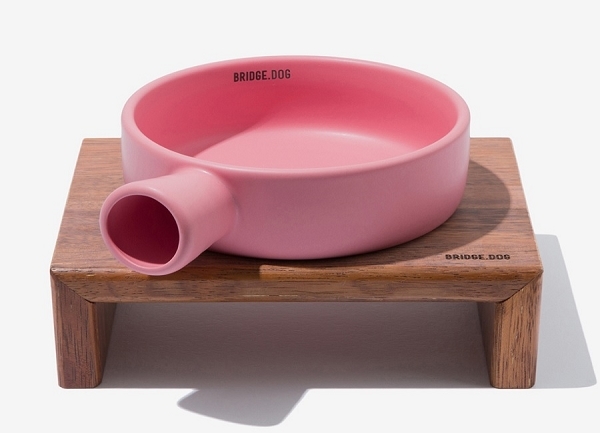 Total cost of selected Bridge.dog Pan with Table (1P Set) $180 + $25 = $205. 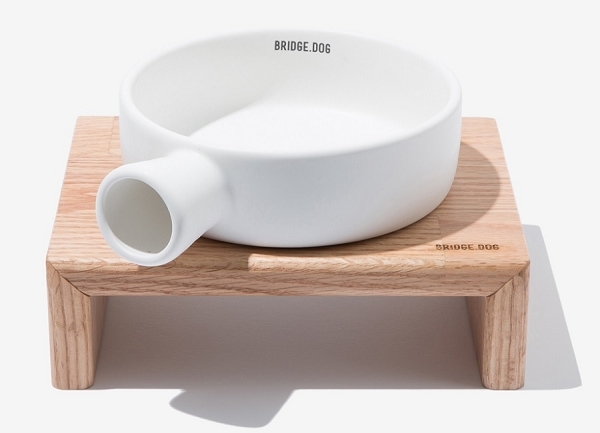 Bridge.dog’s items are all designed and produced in Korea. 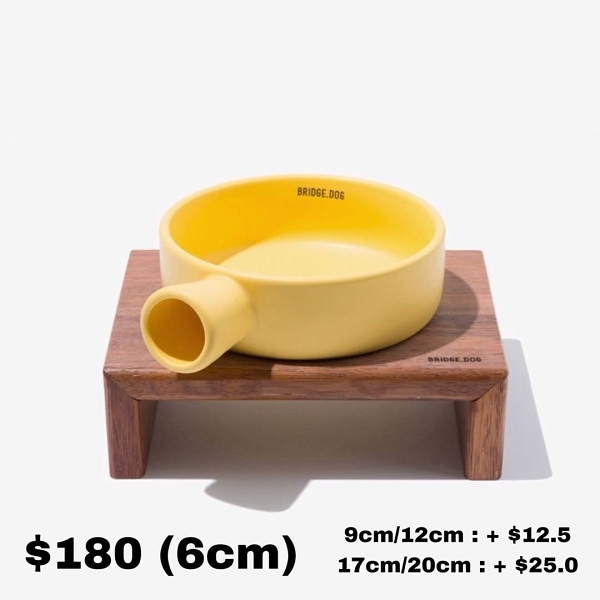 It’s purely KOREA high-quality handcrafted product. 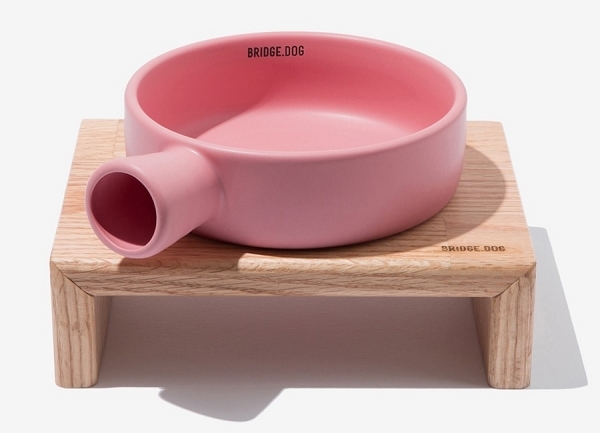 Bridge.dog bowls are made with premium clay and high-grade glaze. It's baked at 1250 degree thus it’s firm and strong. Due to the material used, it'll not be sticky by the furkid’s saliva and slime easily, as Bridge dog bowls absorb water readily. 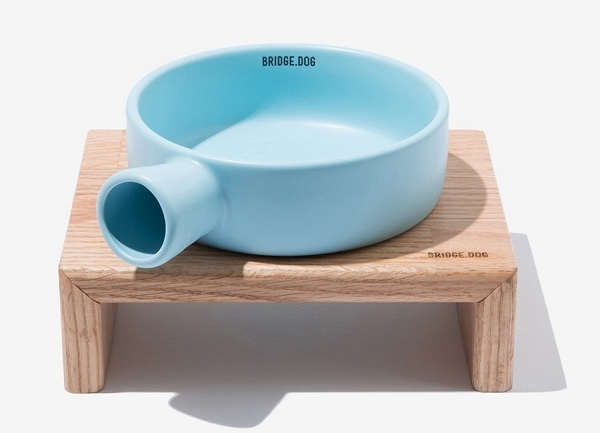 Great as a food or water bowl! Use a soft sponge and gently wash it. Safe for microwave, oven, and dishwasher. No grill, please! To store, please do not wrap with Newspaper! 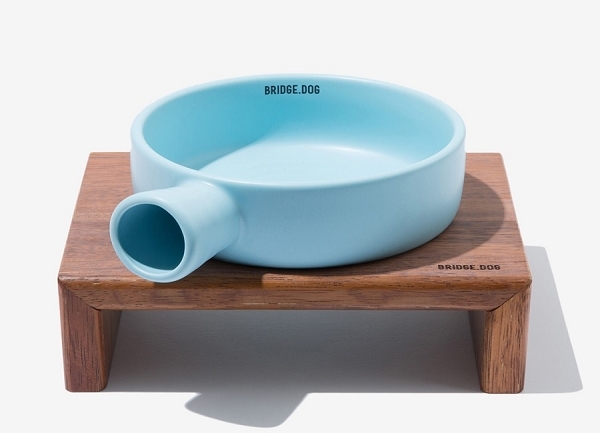 The Bridge.dog Table's surface is coated with an eco-friendly waterproof Urethane paint. 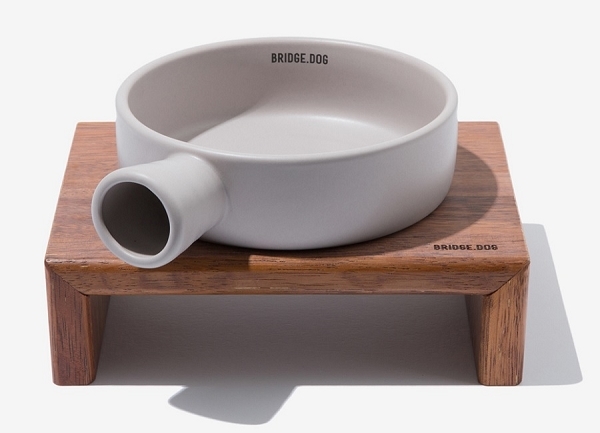 The Bridge.dog Table is made to order based on the Pan & Basic's size. 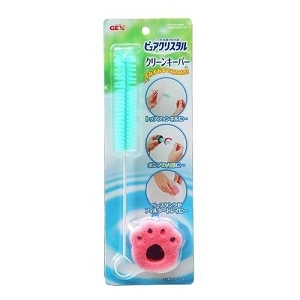 It is not adjustable, nor suitable for the Bear Dish. The wood is bound by eco-friendly food grade glue (no nails) and it's 3-4 times more durable than a normal wood table. 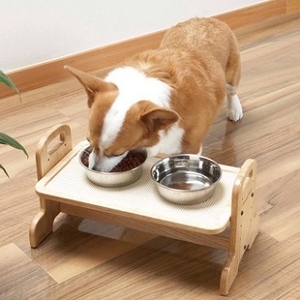 No harmful materials are used to produce, thus it's not harmful to the furkid even if it licks the table. As the Table is made from natural premium wood, lines are commonly seen on the table due to binding or marking of the wood. THIS IS NOT A DEFECT OR CRACK & IS NOT ALLOWED FOR ANY EXCHANGE OR REFUND. To maintain it's quality, please avoid damp places, direct sunlight & strong shocks or drops from high heights. There are more than 600 species of oak growing in the Northern hemisphere; the most common species are sourced in Europe, North America and Japan. 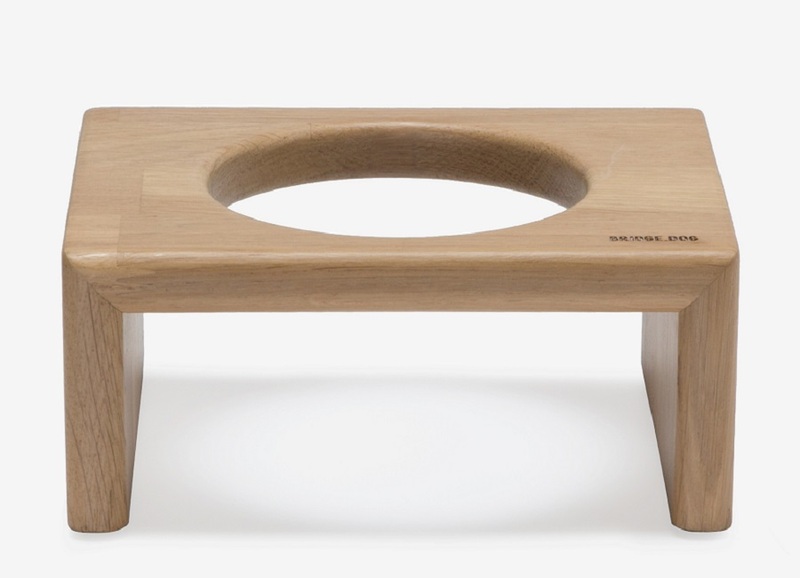 Oak wood has a density of about 0.75 g/cm3 (0.43 oz/cu in) creating great strength and hardness. The wood is very resistant to insect and fungal attack because of its high tannin content. It also has very appealing grain markings, particularly when quartersawn. 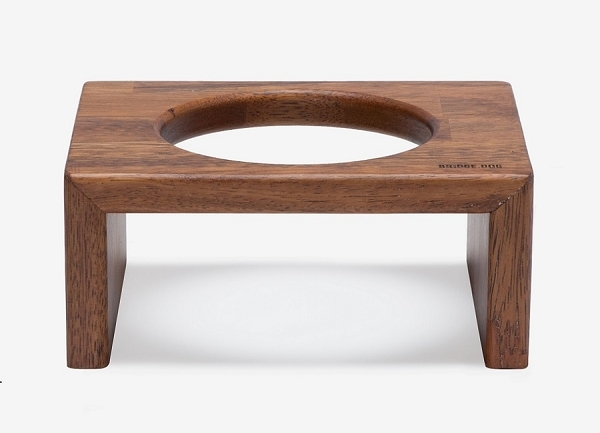 Merbau is known for its durability. Incidentally, this durability is attributable to its natural oils, which allows it to endure harsh temperatures and climates, saltwater and other extreme conditions. Tannin, Merbau’s natural oil, actually helps prevent the timber from cracking or splitting. This is what gives it that added strength, which in turn, can result to greater usability and durability for outdoor use. Note: Tannin is also the component that protects Merbau timber from saltwater and rainwater and is also the one that helps in controlling shrinkage. This type of hardwood, in light of its inherent qualities, will merely require minimum maintenance. In fact, some may even consider it as maintenance-free. It's so instagrammable! Got yours already? #bridgedogsg & #doggyfriendsg to share your pictures!